The First Visual Element of Art is Line. Line is the foundation of all drawing. It is used in art to suggest shape, pattern, form, structure, growth, depth, distance, rhythm and movement on the page. Line is a language that we all understand, regardless of age or culture. We begin to draw as children long before we learn to shape our lines into words. 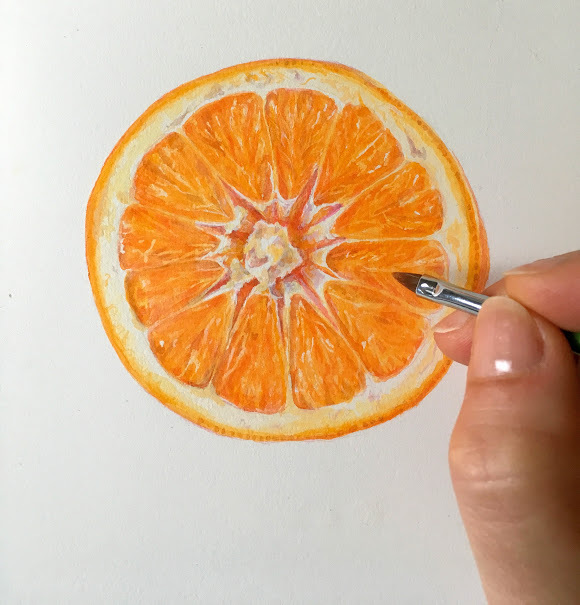 Everyone who has signed up for this course has expressed a desire to become a better artist, and for that to happen, we need to be fluent in line. 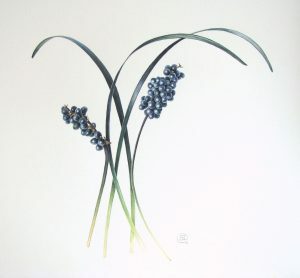 Botanical art is based on the accurate observation of plants. Sometimes in our excitement to start painting, we rush the drawing part, making fundamental mistakes in our observations and design. 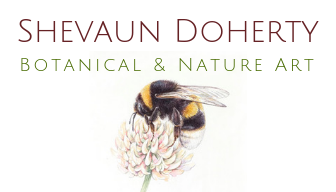 I agree that it can be tedious to draw all the tiny stamens on a flower, or make linear sense of a tangle of roots. Drawing every serration along leaf margins is not exciting, and don’t get me started on leaf veins! It’s easy to slip into automatic mode and lose the accuracy. However, if the drawing isn’t right, the painting will never be right. Regular drawing practice improves hand-eye co-ordination. “I am too slow” is a sentence that I hear time and time again from students. 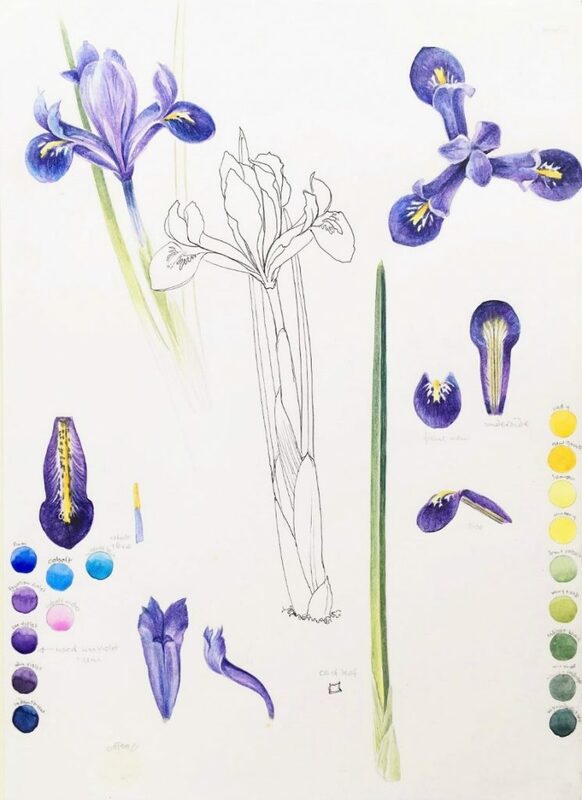 It’s true that botanical art requires patience and commitment, but regular drawing practice can really make a difference to the accuracy and fluidity of your lines and help speed up the artistic process. Understanding the expressive power of line improves the quality of our work. Line is everywhere around us. It is the means through which we express our thoughts and emotions. By understanding the psychological value of a line, we can create paintings that have greater impact. Fluid lines suggest confidence and movement. Curving lines bring elegance to any painting. Think of the beautiful movement of a calligraphic flourish. Jagged lines have a rhythmic visual movement, but sometimes the staccato effect can be disquieting. Thin lines have a subdued quality. They can add delicacy to a painting and suggest distance and recession. Heavy lines express strength. They demand our attention, and bring things closer to the viewer. Quality or weight of line refers to the thickness or thinness of a line. Simple line drawings (controlled line drawings) follow the outline of a subject describing the shape and basic features, without reference to the tones or colours. The lines usually remain the same weight all the way around. 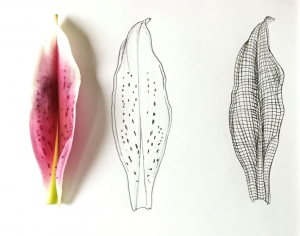 Scientific illustrations often use simple line drawings to describe a plant. Simple line drawings are can be used effectively on study pages, providing additional information without overwhelming the page. 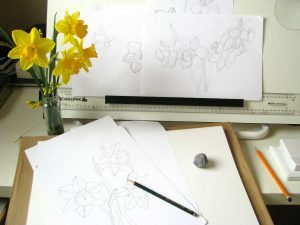 Simple line drawing are used in botanical art to transfer drawings onto the watercolour paper. The surface of Hot Press paper can become damaged through constant drawing and erasing of lines, so preliminary drawings are usually made on another sheet of paper and then traced as a simple line drawing. 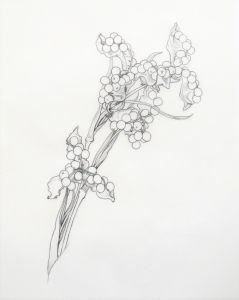 The lines are redrawn with a softer B pencil on the reverse of the traced image. 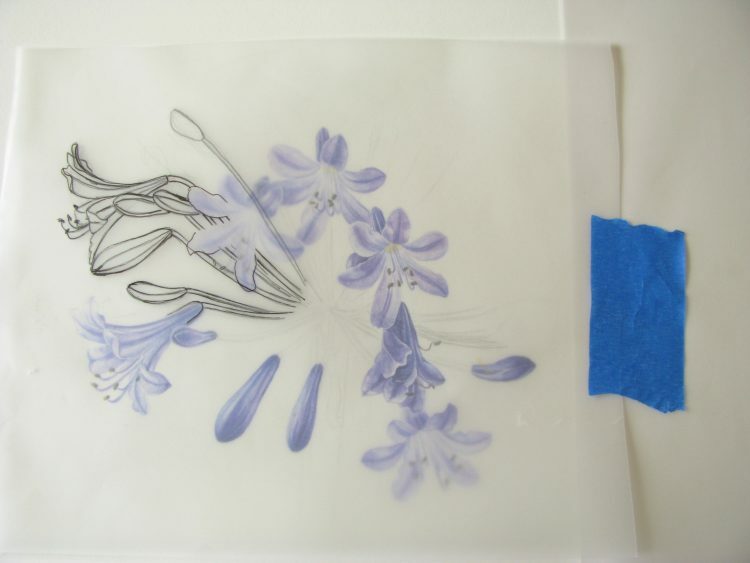 The tracing paper is then placed right way up onto the watercolour paper, secured into place with low tack tape, and the lines are carefully redrawn with a hard pencil, transferring a simple line drawing onto the page for painting (fig.1). Remove the tracing paper and an accurate line drawing remains on the page (fig. 2). If necessary, remove the excess graphite by gently touching with a soft putty rubber. This ensures that subsequent washes are clean and that you aren’t left with a heavy pencil line. Simple lines can bring elegance to our shapes on the page. They can take the mundane and make it something extraordinary. By capturing the elegant curving lines that are found throughout nature, we can compel the viewer to appreciate the beauty of natural shapes. Contour line drawings use lines that follow the surface of the subject as well as the outline, describing Shape and Form. Contour lines vary in line weight. Lines can be dark and thick in places, and fine and light in others. Contour lines move across the surface, sometimes converging, and at other times diverging. Using different thicknesses of pen, e.g. 0.05, 1 etc. Contour lines often appear naturally e.g. linear veins on veins, fruit, petals etc. 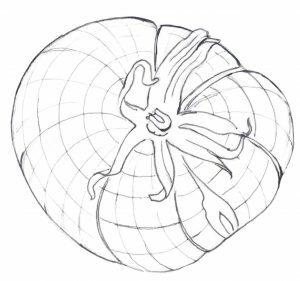 Cross contour drawing of a tomato. Note how the lines follow the undulations on the surface. Cross-contour lines are lines that move across the surface of the subject in more than one direction. They are useful in establishing three-dimensional form by providing a guideline for the direction of brushstrokes, e.g. allow your brush to follow these lines to create form. They can be as simple as the tomato above, or as detailed as the petal below. They help fix the concept of three-dimensional form in our minds strengthening our artwork. Gesture line drawings are quick expressive lines that suggest movement. A gesture drawing is not meant to be a finished drawing, but a practice exercise to improve observation skills and create fluidity within the drawing. Gesture lines do not focus on outlines or details but focus on the simple shapes and lines of a subject. 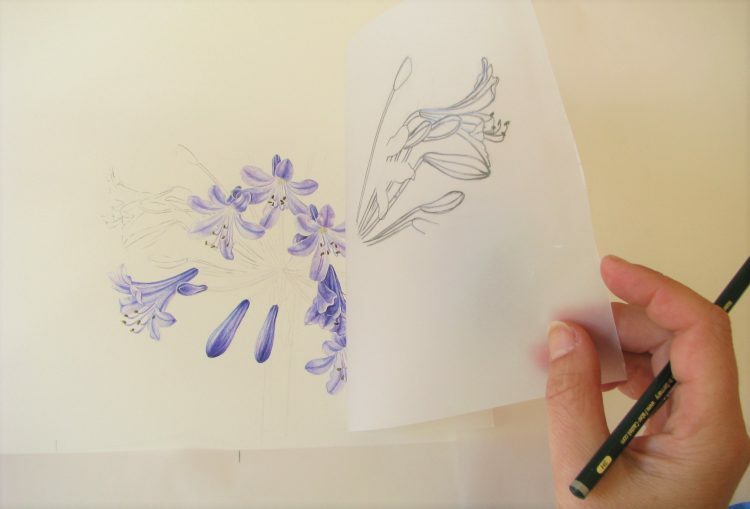 They are an excellent way of loosening up before tackling a more accurate botanical drawing. It conveys the sense of movement and life. We instinctively read gesture lines as the lines that convey body language and mood. Plants are not static, but constantly moving and growing. They react to changes in sunlight, temperature and wind. Gesture lines capture this sense of growth and movement. In more static subjects like fruit or vegetables, gesture lines establish the form and how it connects to other parts. 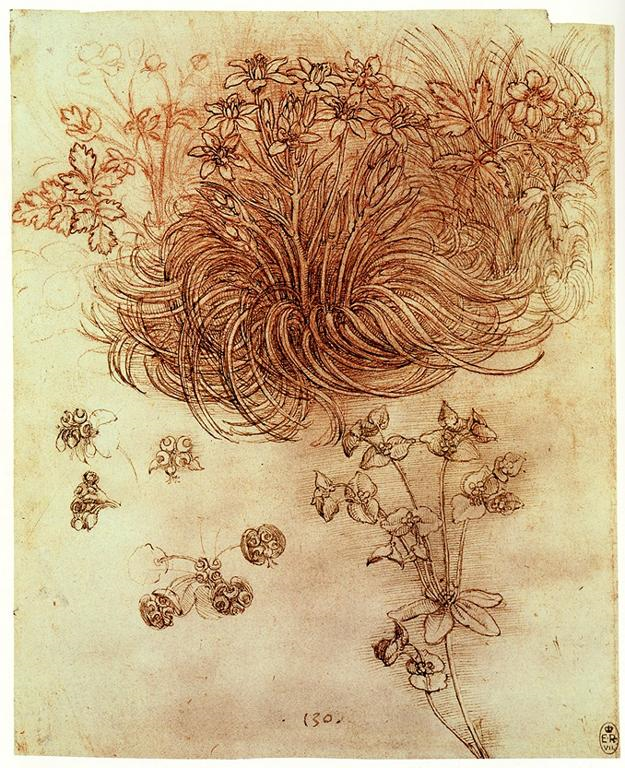 To breathe life and movement into our artwork, we need to capture the gesture lines of the plant.